We always have our phone but we can’t always hold our phone. 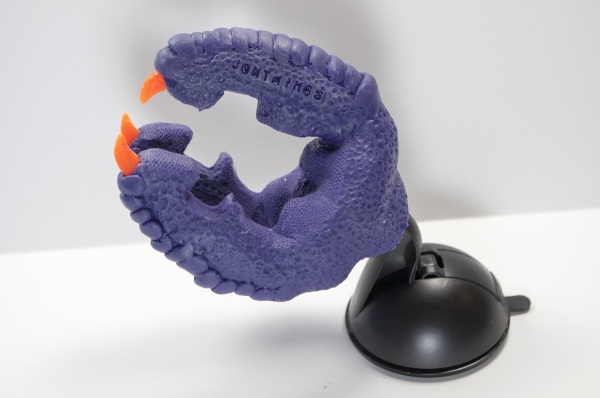 If you need another hand to hold up your mobile, why not let it be a monster hand? The Claw is the phone holder straight out of your favorite city smashing movies. Usually, phone holders made to sit on your dashboard are pretty basic rectangles. Made from plastic, black, and utilitarian. The Claw is the exact opposite of that. It’s a three fingered, clawed, reptile hand perfect for making sure you can access your Google Maps on your next trip. This comes in three monster themed colors and is designed to fit any size phone. Works with Apple and Android devices, the Claw is an equal opportunity phone holder. The base is black with a suction pad that can be affixed to the dash or window. It can be detached from the suction and used with a desk mount as well. 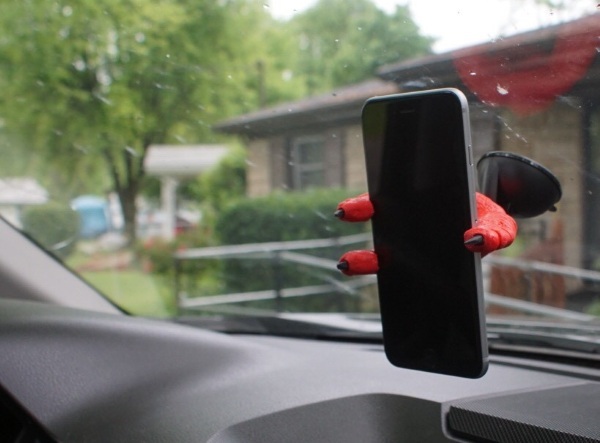 If you’re looking for a phone holder with a bit more personality, the Claw is $20.